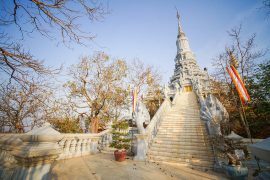 When you have finally booked your Cambodian holiday it is great to have a check list of things to consider to make sure you are ready to travel and some handy tips to make your journey the trip of a life time. To enter into Cambodia you must have a valid passport with an expiry date 6 months after your return date. You will also need a Tourist Visa. You can obtain your Visa directly upon arrival at the airport. The cost is $30 US for one month and can be extended for an additional 30 days. They will ask you for a passport size ID photo, so you can bring one or pay an additional $2 US. 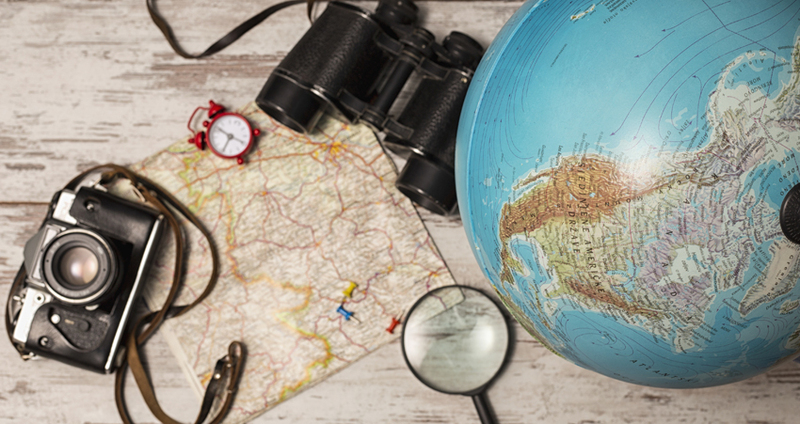 From one country to another, the rules of behavior and local customs can be very different. To respect the customs of the society you are visiting and avoid embarrassing situations it is important to inquire before you leave. The people of Cambodia are generally very modest and often quite shy. 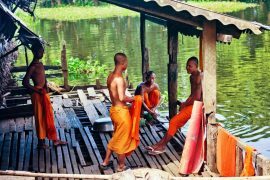 Green Cultural Travel has a great blog on this so we think it is important to read (http://www.greenculturaltravel.com/dos-and-dont-in-cambodia/). It is an essential element to take into account in the organization of your travel. For example, compared to the UK and France there is +5h in summer and +6h in winter. It is important to be aware of this when you book your flight. The jet lag can tire you so plan to have one rest day after your arrival. The official language in Cambodia is Khmer. You will not understand the writing although many signs in the major tourist locations are in English as well. To gain the respect of the local population you can learn few words to communicate with the Cambodian people. A simple phrase book is very handy and there are many available from the street vendors. Many Cambodian’s speak English well, particularly the new generation. But a big part of the population doesn’t speak English, especially in rural areas. With patience and some gestures you will manage to get what you are looking for. If you want to contact someone from or in Cambodia, you have to put +855 (without the first 0) before to dial the phone number. In spite of its beauty Cambodia is still a poor country. Unfortunately, there are cases of thefts so you have to be careful and take some precaution. We advise you to leave your valuables at your hotel or guesthouse and use a backpack. Carrying a handbag is not recommended. For your papers (particularly the passport) it should be kept in a safety deposit box of your hotel or guesthouse and take a photocopy of it as an extra precaution. In Cambodia there are two seasons: the rainy season (June to November) and the dry season (December to May). The high season for tourism is from November to March and the weather is weather is pleasant and not too hot. However visitors looking to avoid the crowds should consider a low season visit. Your tourist dollars will go a lot further as hotels and other service providers will offer large discounts to gain your business. For visitors during the hotter low season it is recommended you do your activities early and late in the day and relax by the pool or in your hotel or guesthouse through the middle hotter part of the day. During the wet season it will generally only rain for a short period and it will dramatically cool things down. Some banks have partners abroad which allow their customers to not pay fees on their withdrawals. Check with your bank if it the case in Cambodia. Generally you will be charged a fee by the owner of the ATM and your own bank will charge a fee so it is recommended that you make larger withdrawals rather than a series of little withdrawals. There are many Automatic Teller Machines in the major tourist destinations but in the more remote area’s you may need to bring US dollars with you to cover your day to day costs. Although there are two seasons, it is generally hotter in Cambodia than your own country. So take light clothes. If you plan to visit temples or other important tourist locations such as the royal palace you will also need to have conservative clothing. You should also pack a jumper or pullover for the flight and if you want to go in Mondulkiri or Ratanakiri because the nights can be cold. Bring a hat/cap to protect you from the sun and sunscreen because it is very expensive in Cambodia! Footwear and not flip flops are also important to pack for your visits to religious places and also if you plan to visit the jungles and rainforests. We highly recommend you obtain travel insurance and check that it covers you for emergency medical evacuation. Although there are some high quality medical and dental centers in Cambodia and neighboring Thailand one can never be too careful! No vaccines are mandatory, but check all your vaccines are up to date (hepatitis A and B, tetanus, polio, rabies, diphtheria and typhoid). If you are planning to go for an extended time in rural areas we recommend you consider a treatment against malaria, but seek advice from your doctor. The traffic in Cambodia is best described as chaotic, especially in the capital. Somehow it works but be very careful if you rent a motorbike. A helmet is mandatory and as is an international driving license. They drive on the right side and do not expect that the road rules you are used to will be followed by the local drivers. There is a number of bus services as well as private cars available if you want to move from one city to another and the prices are very affordable. In addition the local Tuk Tuk, taxi’s and private cars for hire are so reasonably priced that moving around a city is a lot less stressful using these services than trying to self drive. Cambodia is a country where you can enjoy an amazing holiday experience without spending a fortune. There are high end resorts and restaurants where you will pay western prices. However you can enjoy good quality hotels and guesthouses in the price range of $20 to $40 US per night and amazing street food where lunch or dinner is no more than $2 US. So now you have made your preparations we are looking forward to you visiting the Kingdom of Cambodia.